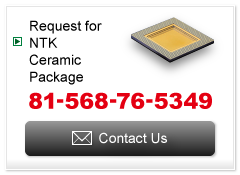 NTK sales offices introduction (Domestic and overseas) - NTK CERAMIC CO., LTD.
3979 Freedom Circle, Suite 320, Santa Clara, CA 95054, U.S.A.
Taiwan NGK Spark Plug Co., Ltd.
3F, 102, Tun Hwa North Rd. Taipei, Taiwan, R.O.C. Copyright © 2016 NGK SPARK PLUG CO.,LTD. All rights reserved.